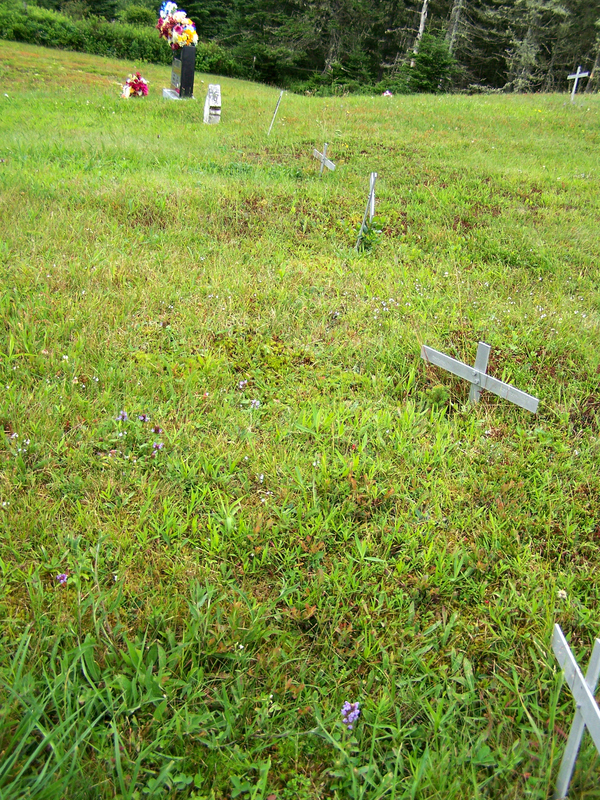 I added one headstone photograph to the page for St. Mary’s Anglican Church Cemetery, Shiers Road, Harrigan Cove, Halifax County, NS. 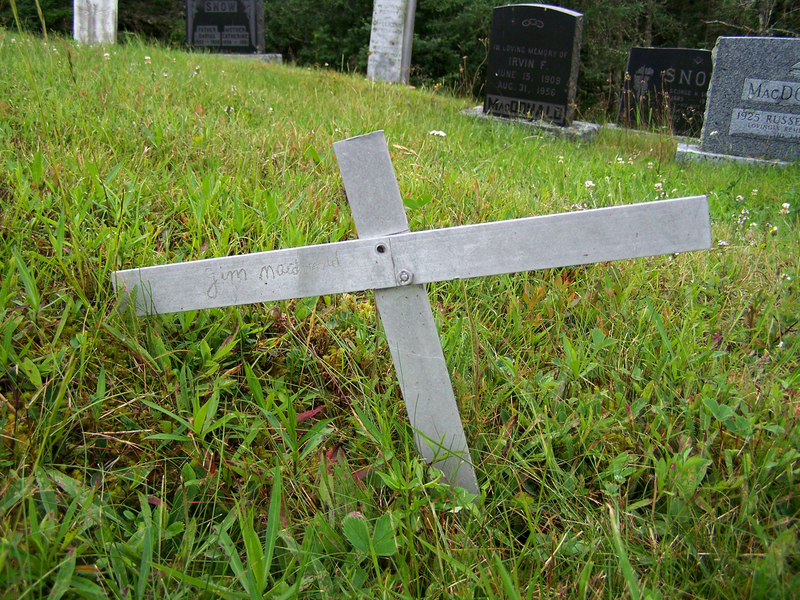 It is one of four steel crosses in a row. I have not found a record to indicate who James ‘Jim’ MacDonald was nor when he died. The names on the other steel crosses are: Edward, Spencer, Harry, Charles and Levine MacDonald. Assuming these individuals are from the same family, we might also assume the couple Levine (also spelt Lavinia in some records) and Charles are Jim’s parents. Found in the 1891 Census is the family with the following children: William, Amelia, Daniel, Mary, Jeremiah Freeman, Annie A., Edmond, James F, Maud Julia, Adam, Freeman and Henry E. The Edmond in this group might be the Edward on the steel cross. The Henry might be Harry, and James could easily be Jim. Atkins, Eva Maude: Born December 7, 1896 at Harrigan Cove, Halifax County, NS, the daughter of Augusta Pye and Charles R. Atkins.